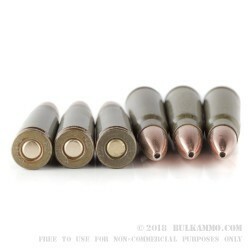 Super close to the original mil surplus round, this is a great replacement for the ultra cheap ammunition that flooded the market some 10-15 years ago for the 7.62x39 rifles. 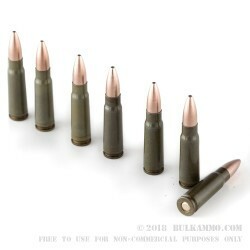 That ammunition has either dried up or been extremely limited on import, so this round has taken its place and has performed admirably, considering how beloved the original milsurp ammo was. The classic 123 grain load in the brown lacquered steel case is exactly as you remember. The flawless performance in SKS and AK rifles makes this an obvious choice for range ammunition and stockpiling for other uses. The barely higher price point from the original military surplus ammunition means this is a satisfactory replacement in bulk too. 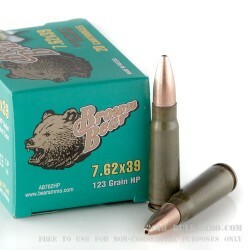 It is a Berdan Primed, steel cased, lacquered cartridge with a coated hollow point that is suitable for hunting in many places (check your state and local regulations). 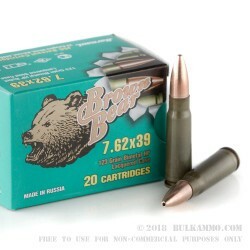 The Berdan primer offers very reliable ignition so FTF are minimized, but it does render, along with the steel case, the round very hard to reload. In fact, most don’t even bother collecting the steel cartridge casing after firing. But for those who aren’t testing the limits of their handloading skills, this is a small price to pay for the value priced cost of these rounds.